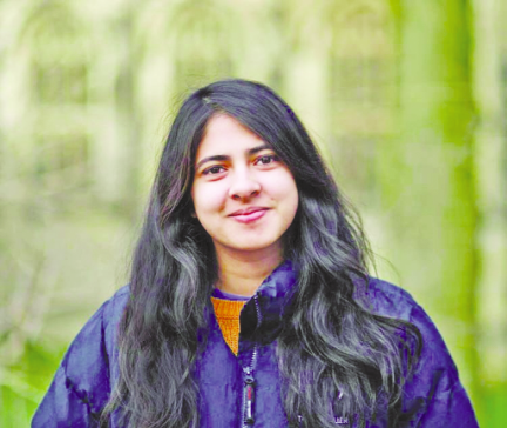 Anisha Faruk, a student of Bangladeshi origin, has been elected the president of Oxford University’s student union. She picked up the highest number of votes in each round to win the presidency. The presidential election went through three rounds of preferential voting. RON was defeated in the first round, with Anisha, Ivy Manning and Ellie Milne-Brown gathering 1222,1075 and 1013 votes respectively. Ellie was eliminated in the second round, collecting a total of 1022 votes against Anisha’s 1240 and Ivy’s 1095. Ivy picked up most of Ellie’s preferential votes, boosting her total to 1416 but this was not enough to unseat Anisha who finished with 1529, placing her over the 50% threshold to win. Anisara’s father Faruk Ahmed is a retired Major of Bangladesh Army. The village of Bhola in their village house.